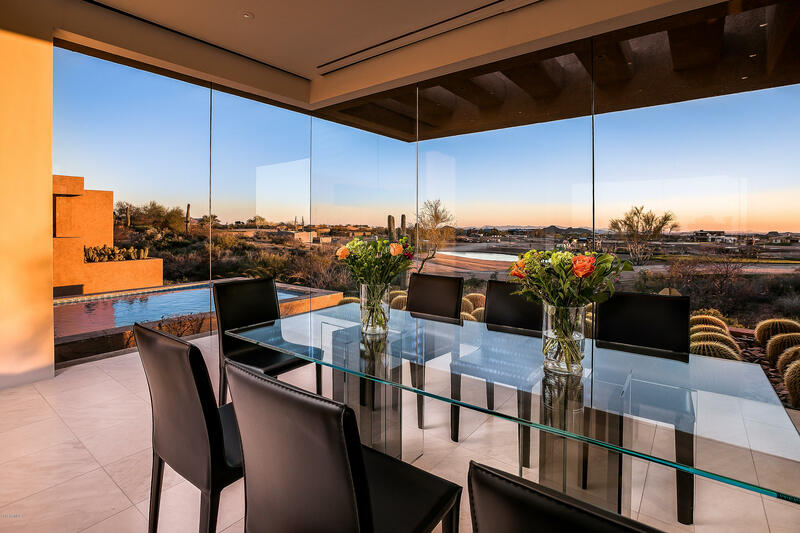 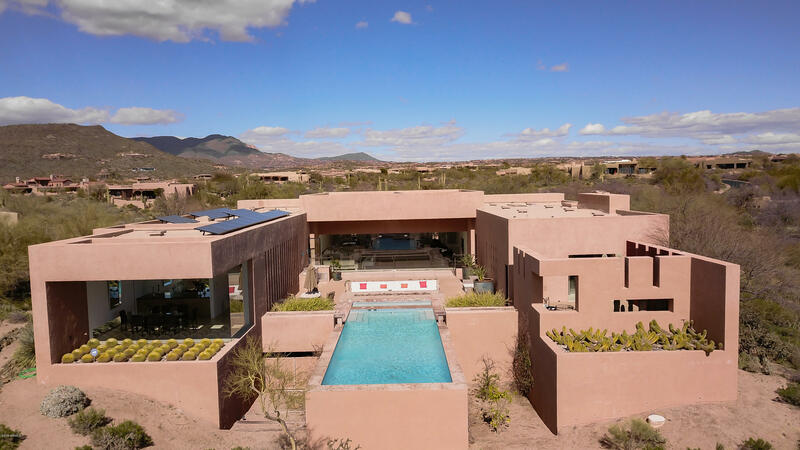 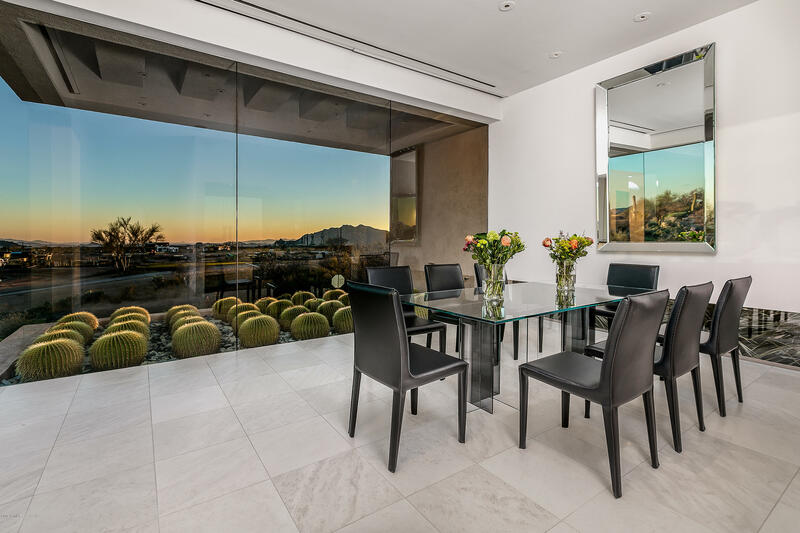 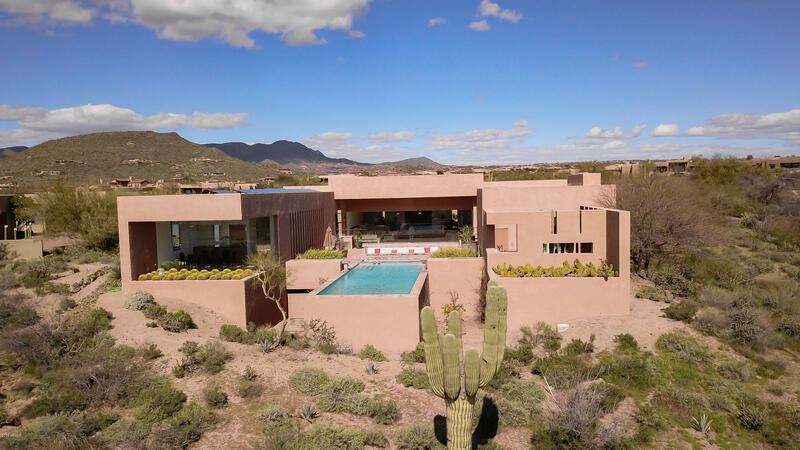 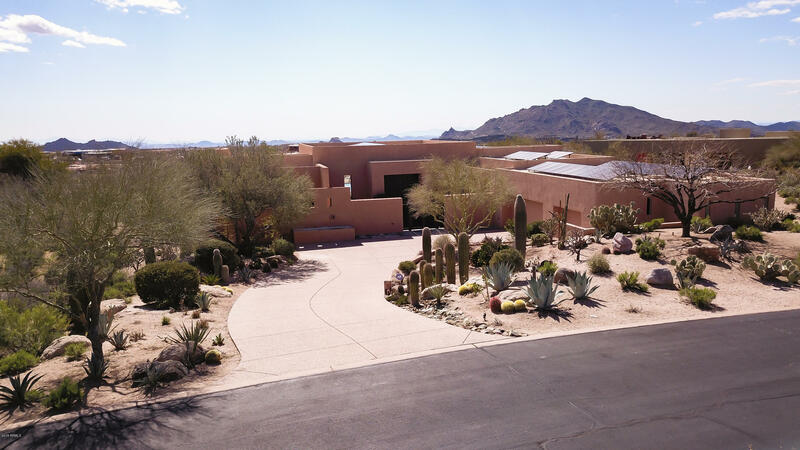 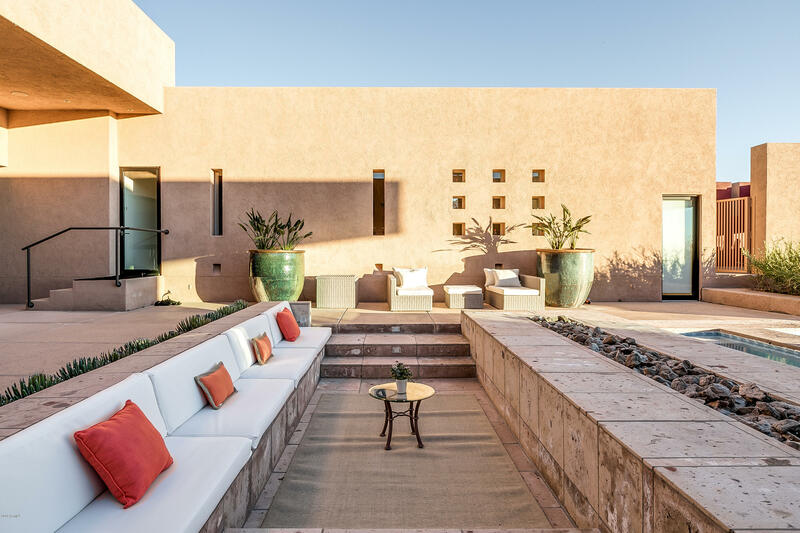 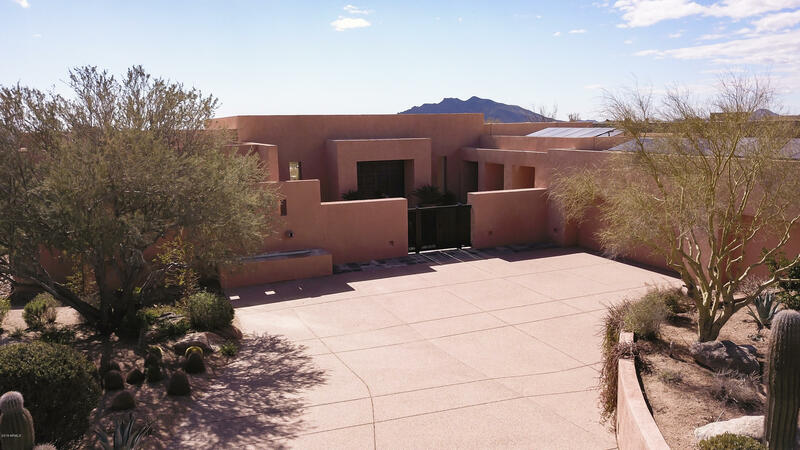 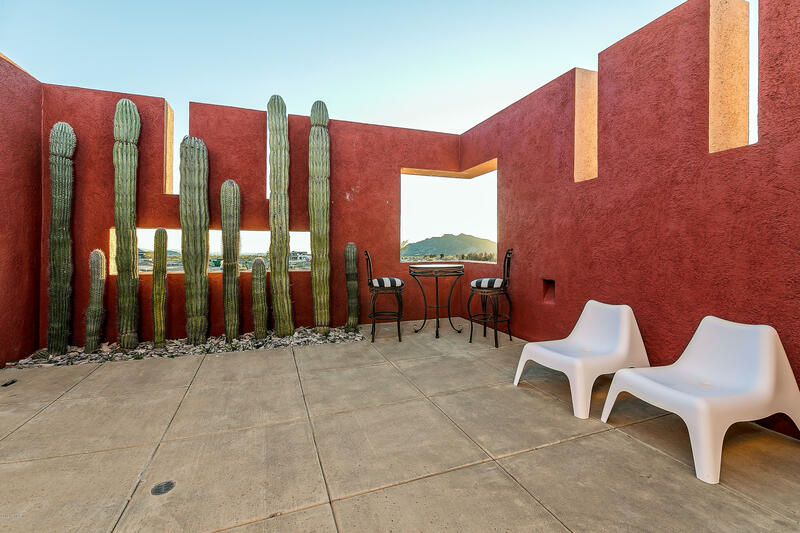 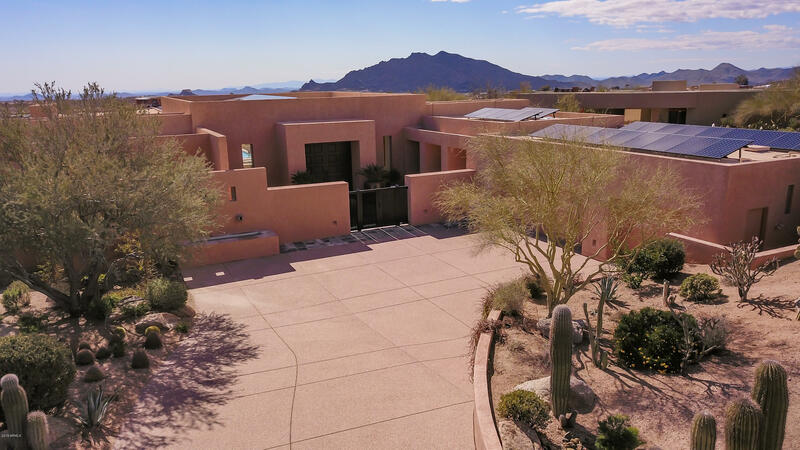 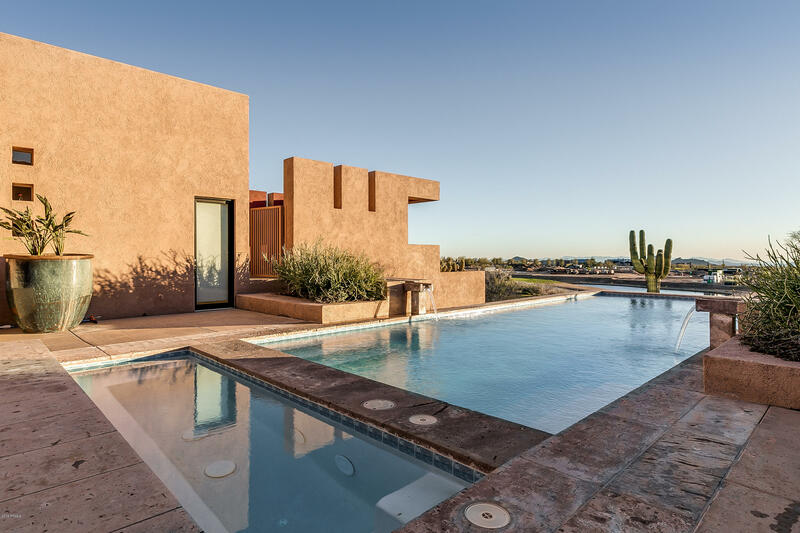 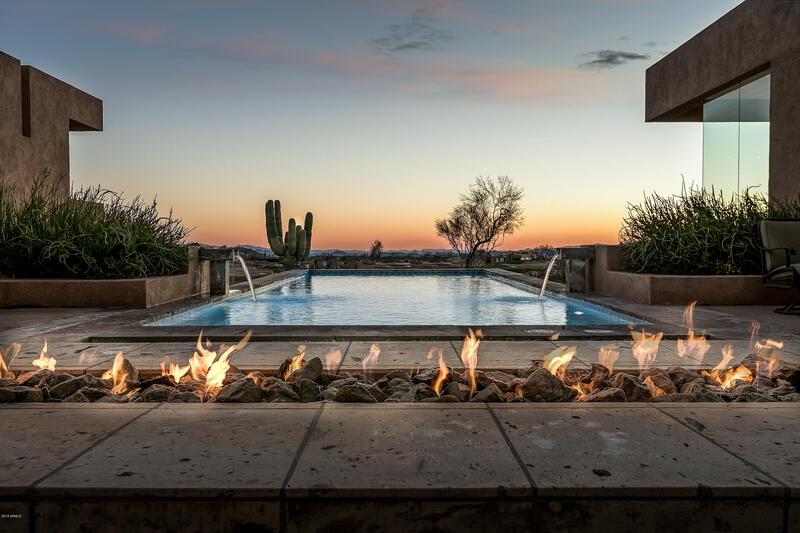 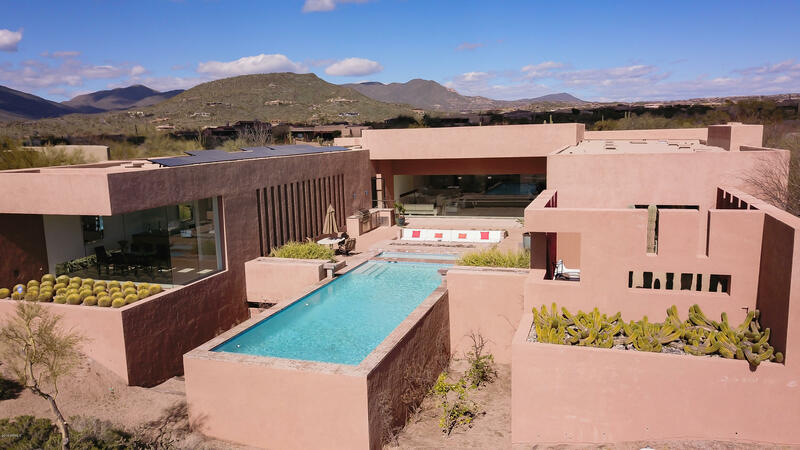 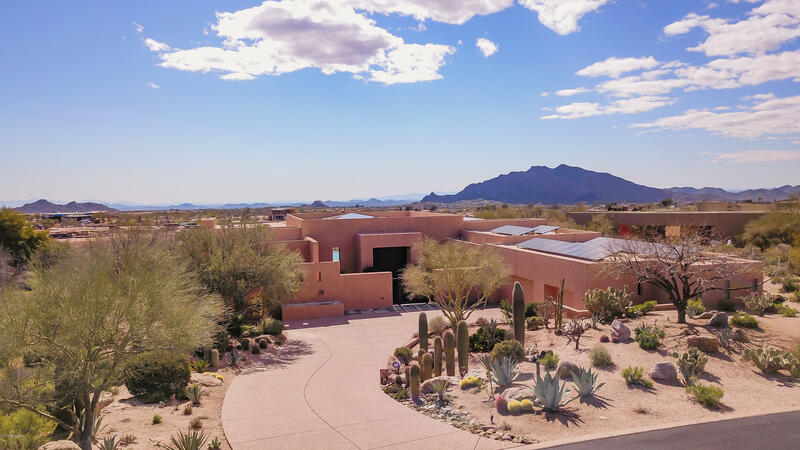 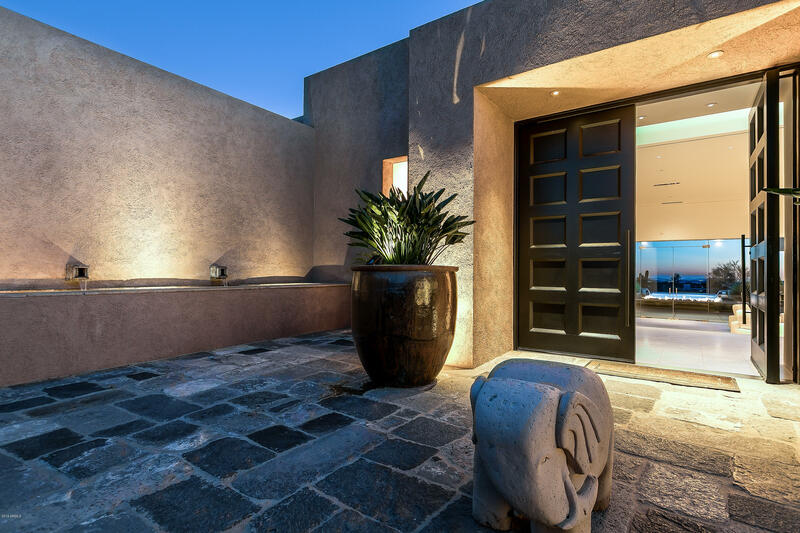 Enjoy fabulous mountain, city light, golf course and sunset views from this contemporary hacienda-style masterpiece designed and built by Peter Magee located on the 13th hold of the Renegade Golf Course! 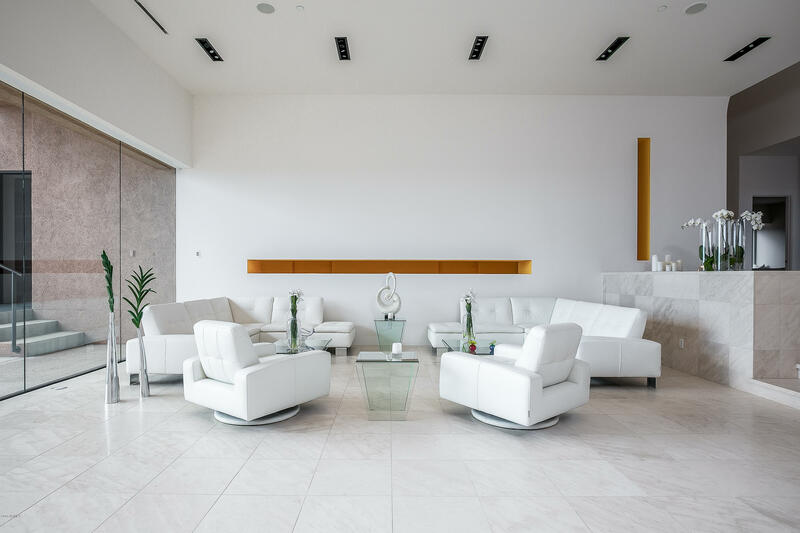 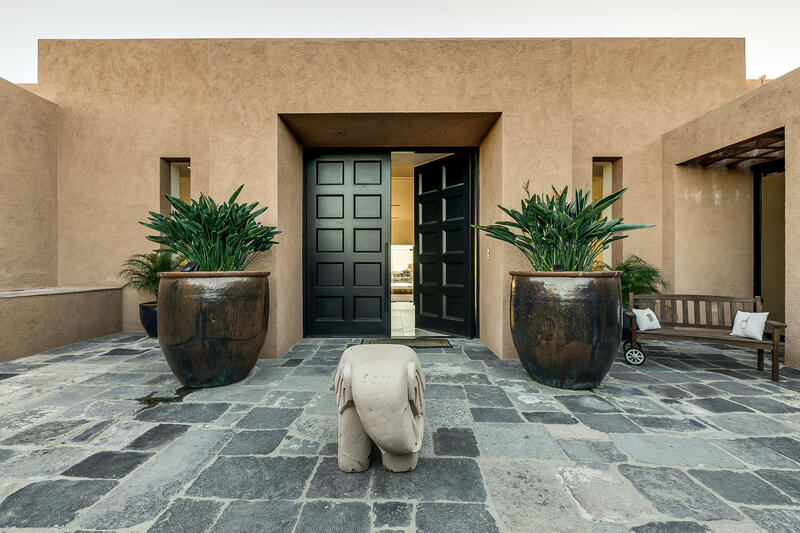 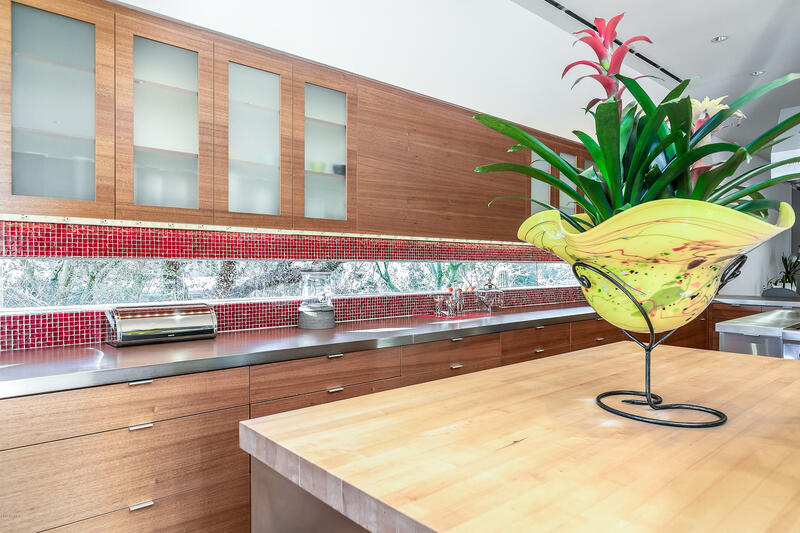 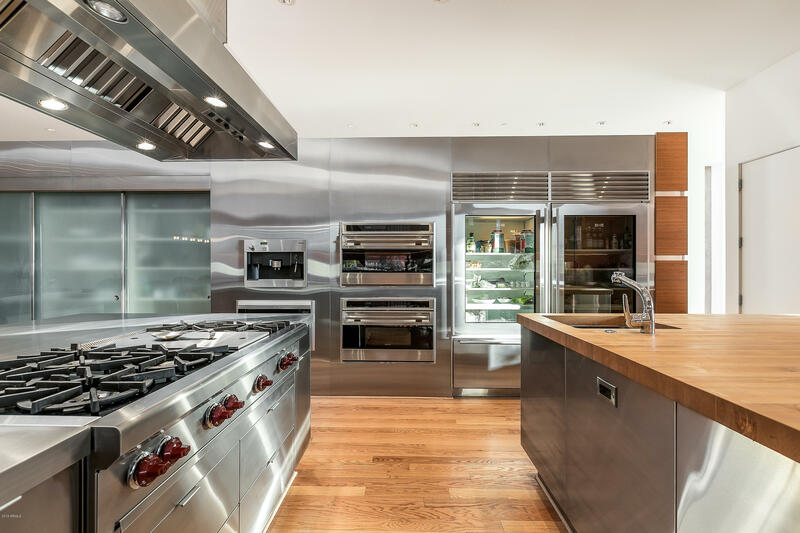 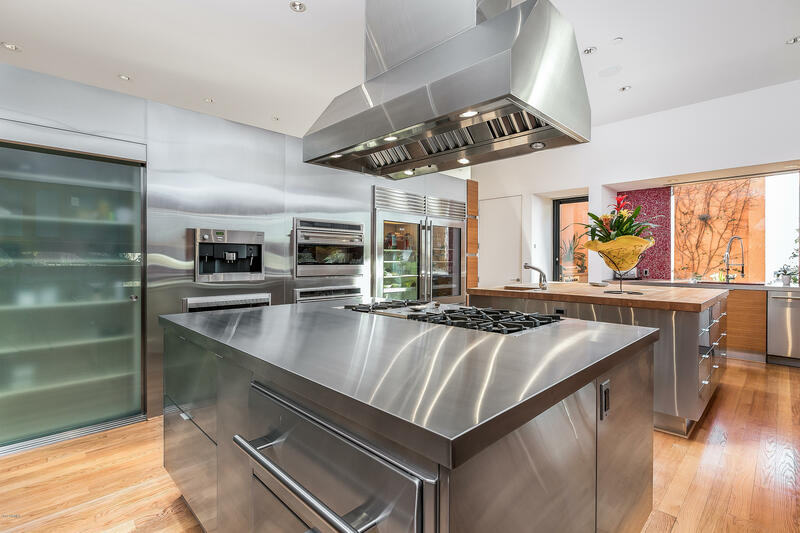 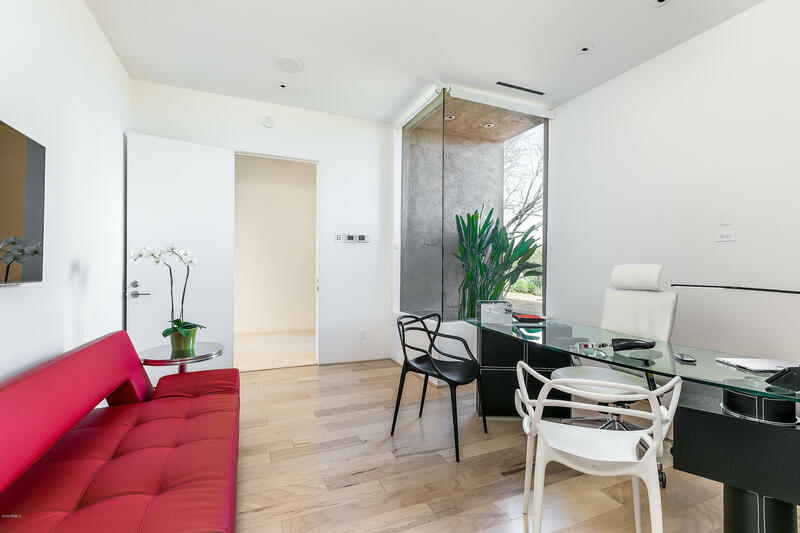 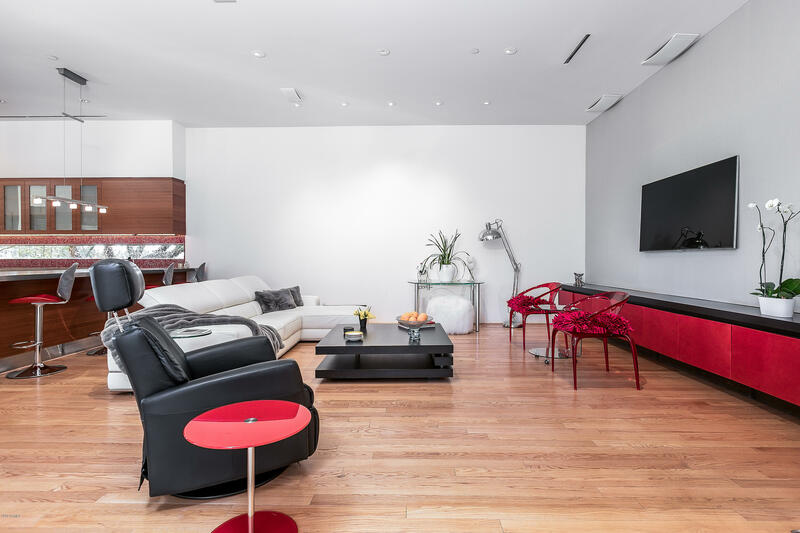 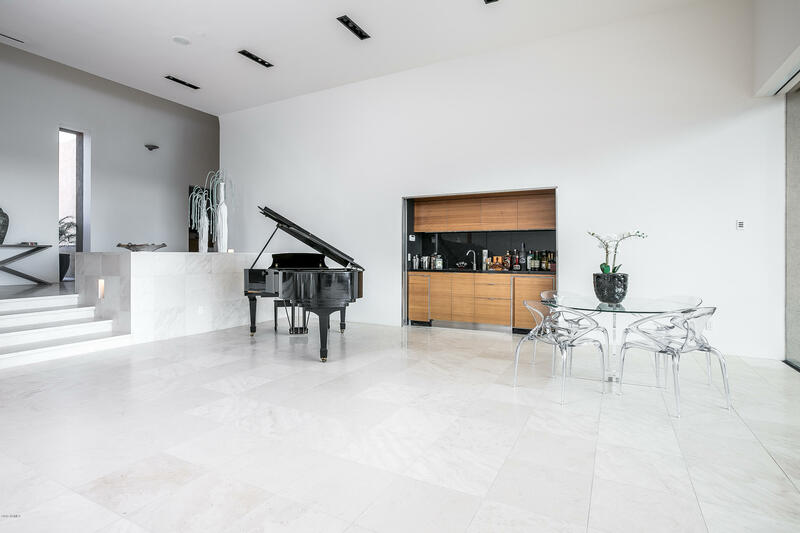 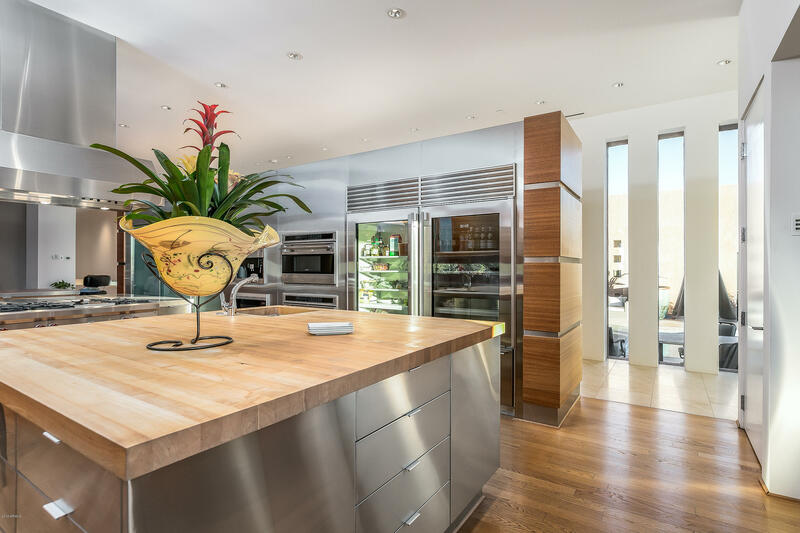 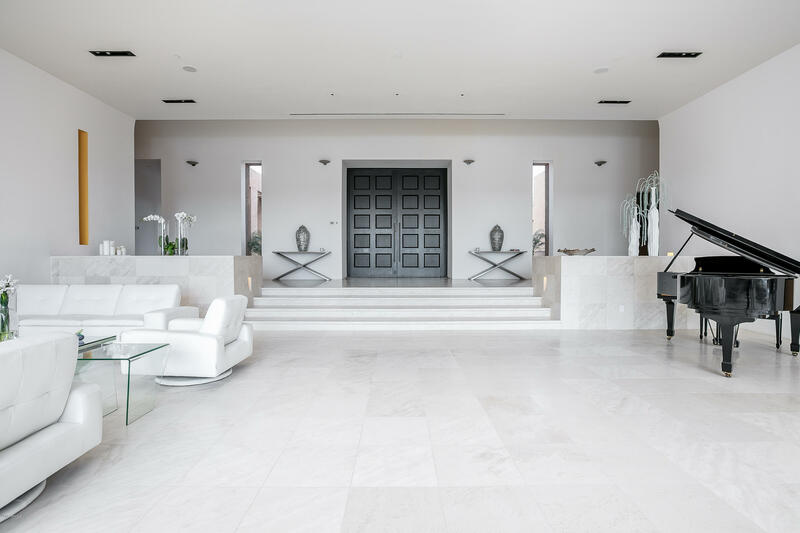 This entertainer's dream home features large open spaces, extensive art walls, glass and views throughout. 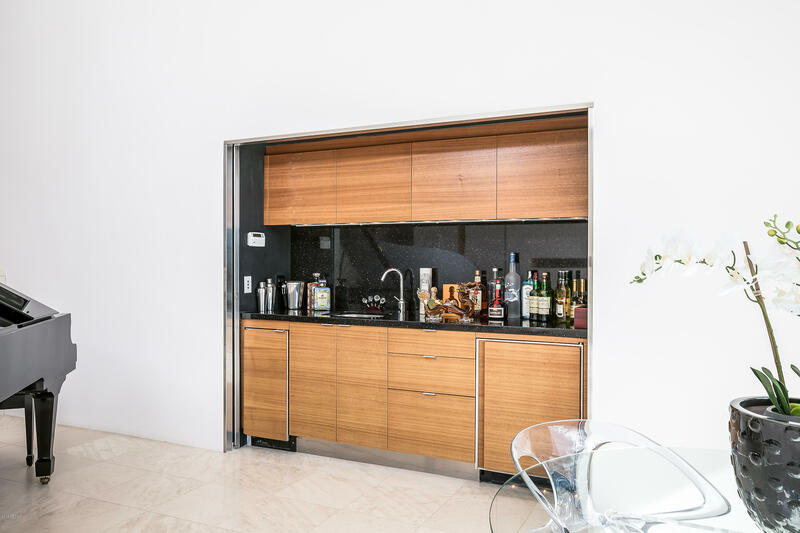 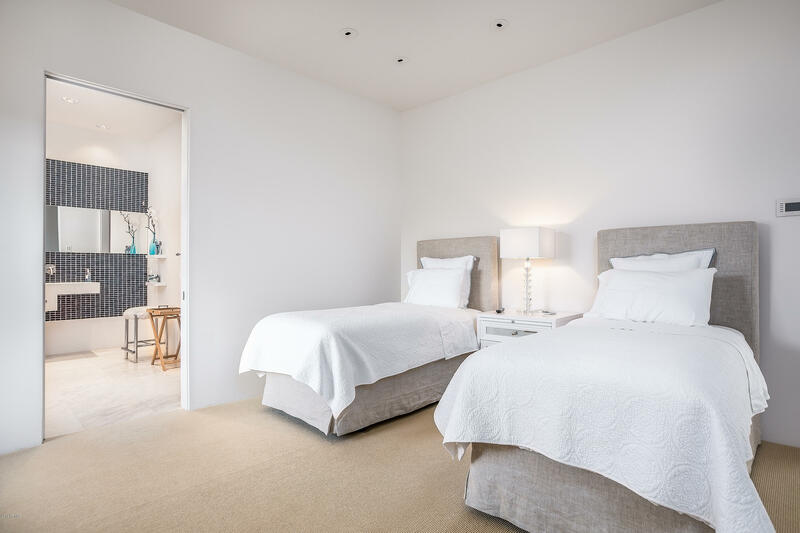 Also included are: a gourmet kitchen as well as a second full kitchen on the patio, a wine cellar, two laundry rooms. 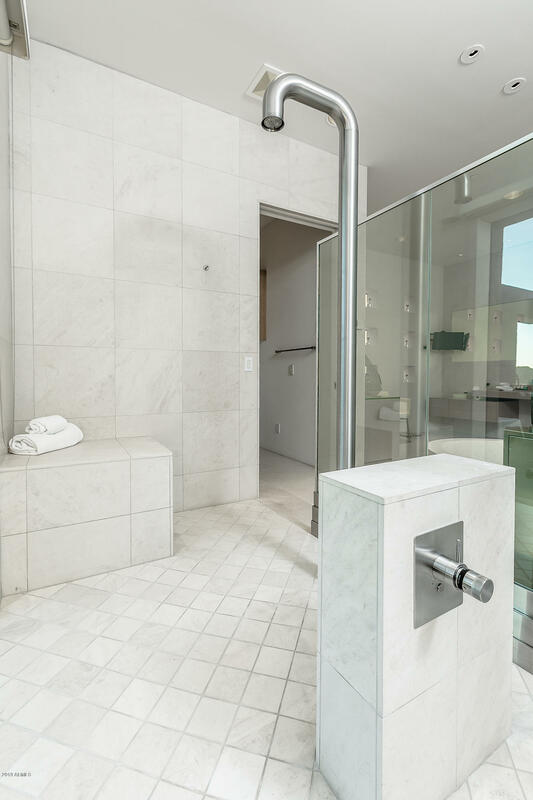 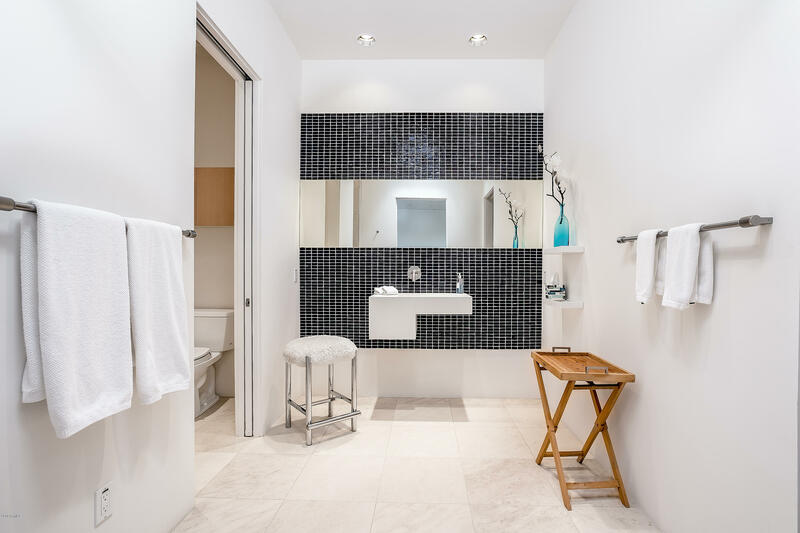 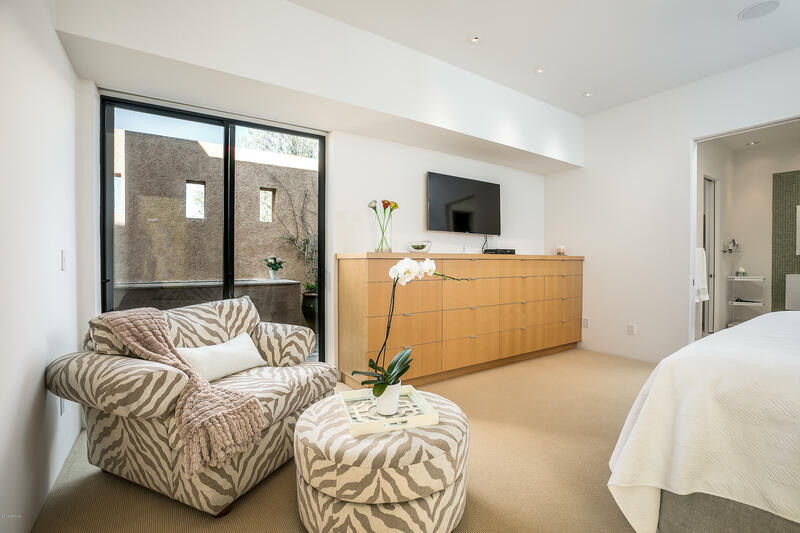 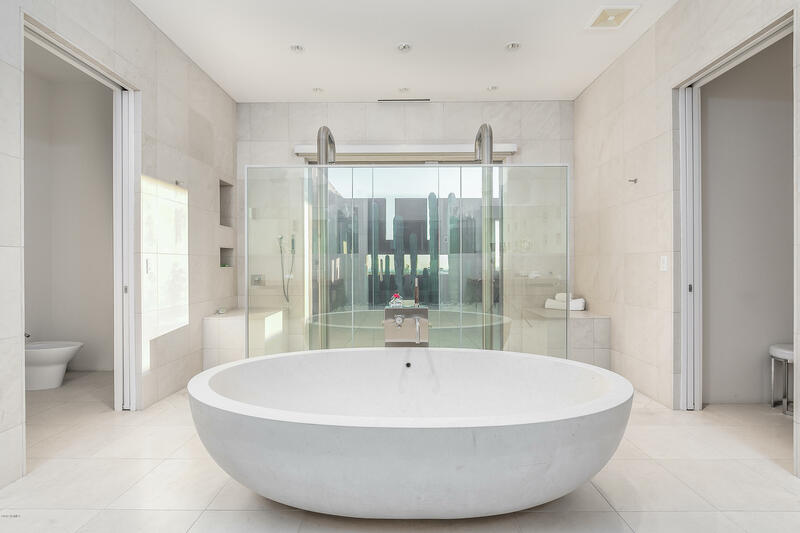 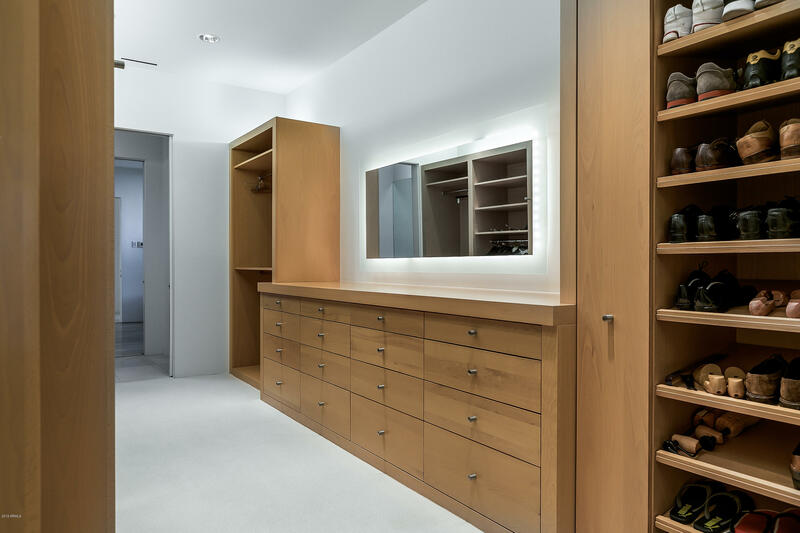 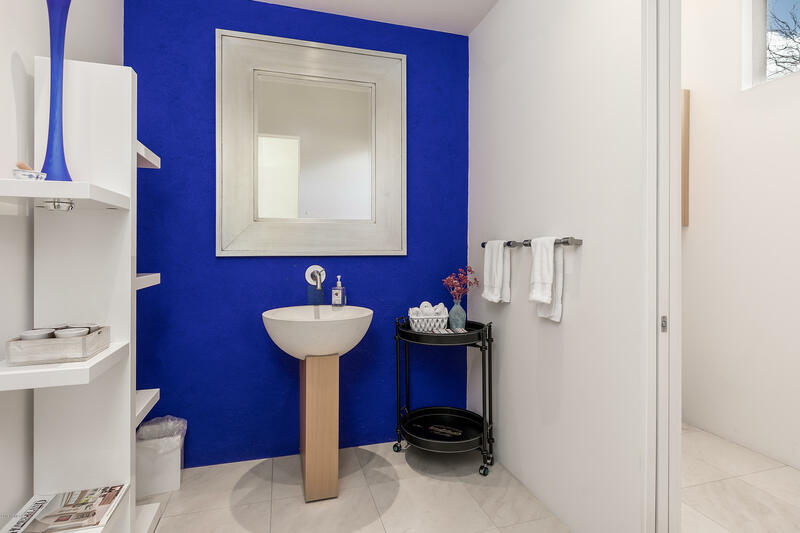 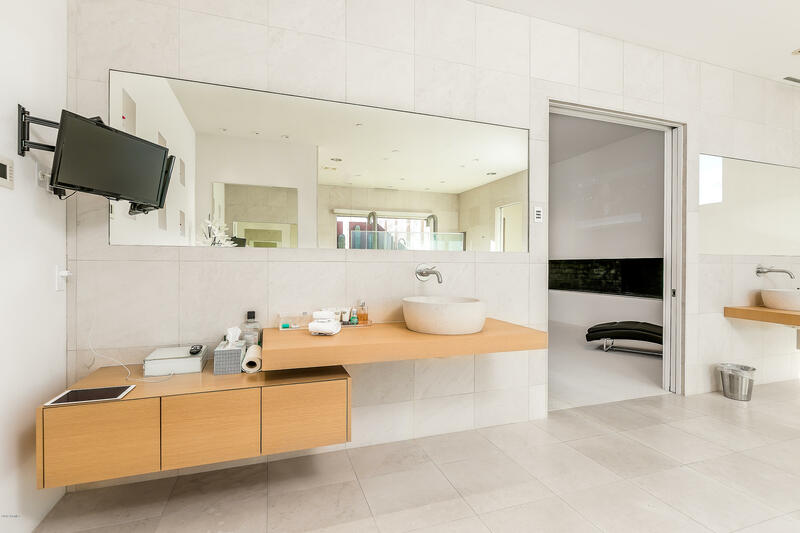 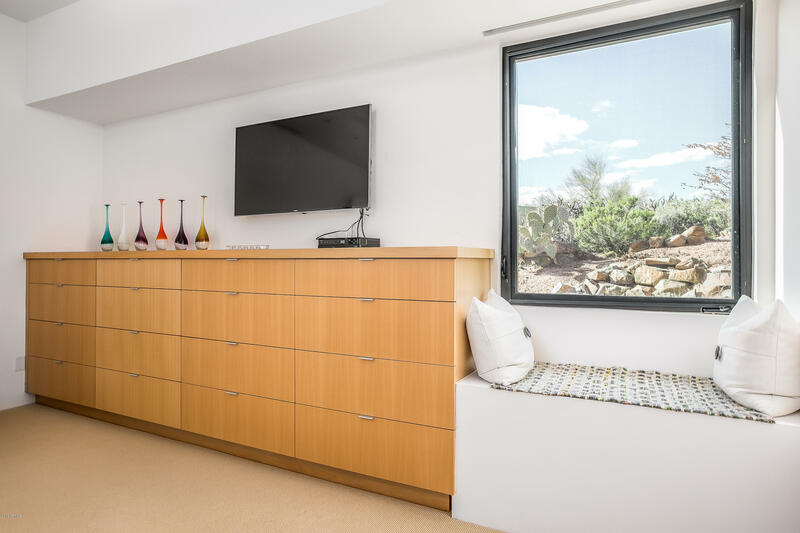 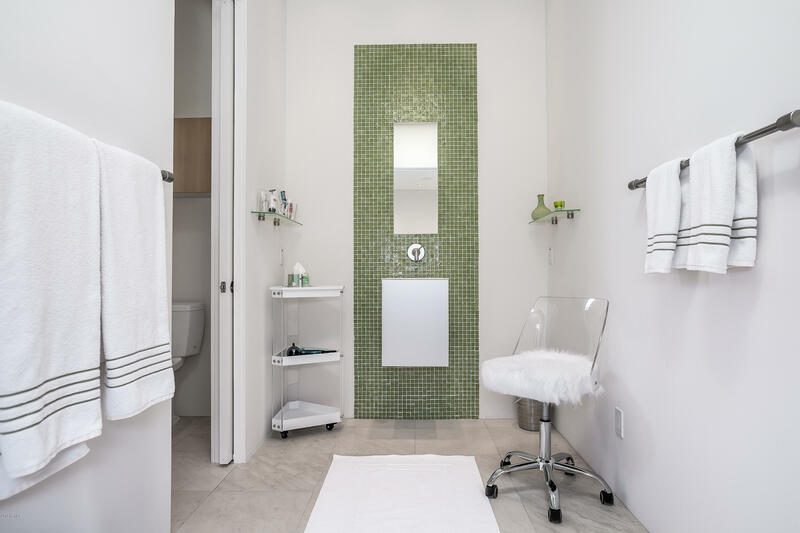 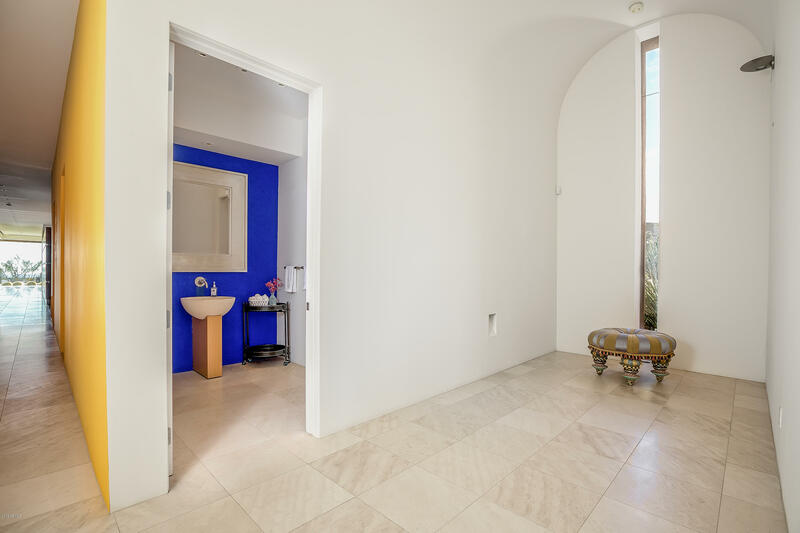 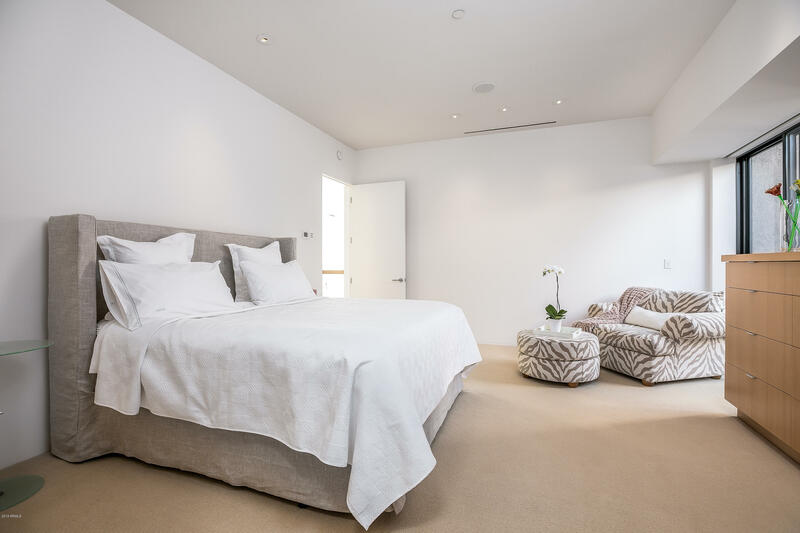 The spacious master bedroom suite offers his and her custom closets and an over-sized master bath with hand carved limestone Boffi tub and sinks and KWC fixtures, private sun patio, and outdoor shower.